It’s a Christmas tree delivery! We’ve upgraded from the Summer Porch Tour to a Christmas Porte-Cochère tour at the City-County Building on Grant Street. 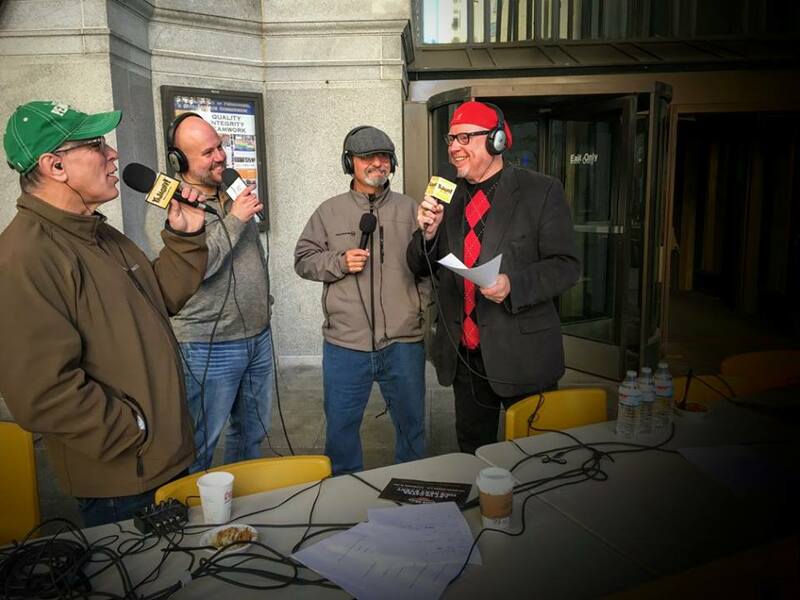 We podcasted while the big tree was delivered and had pulled pork, hot chocolate, the Jagoff National Choir led by Johnny and Bubba of Johnny Angel and the Halos. 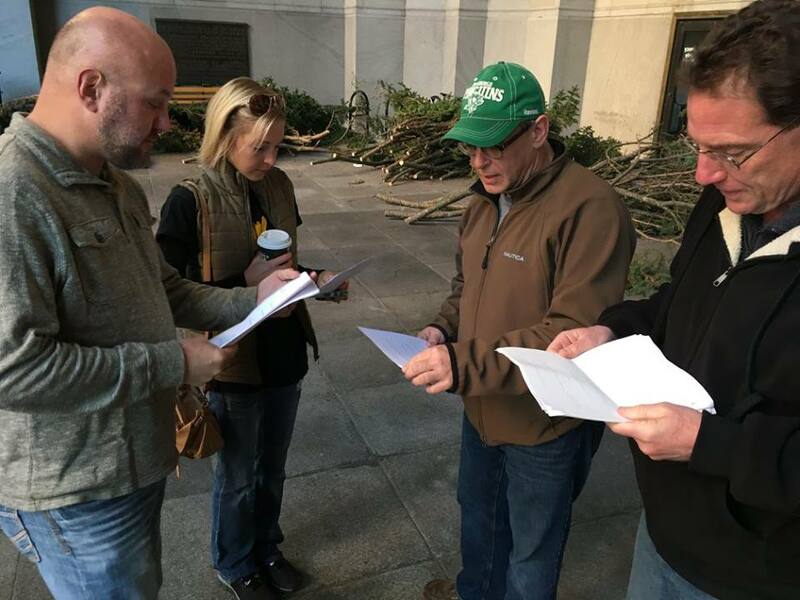 And since it’s voting season, we vote… real Christmas tree or fake Christmas tree? If you don’t see the Player Bar below, click HERE or listen on iTunes, Apple Podcasts, Google Play Music, Stitcher Radio, Soundcloud, Overcast, Pocket Casts, and Tunein Radio via the “Pittsburgh Podcast Network” channel. 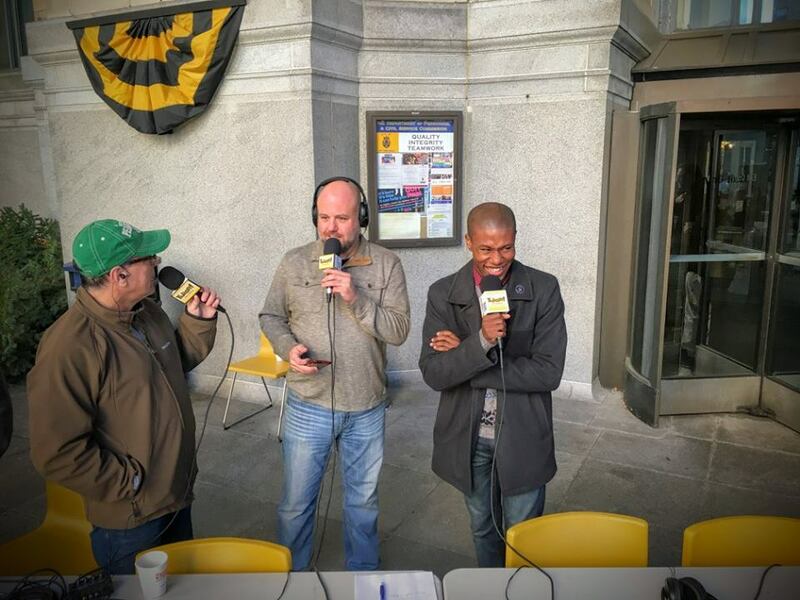 03:00 James Hill, Special Assistant to Mayor Peduto, talks about the huuuuuge tree and why HE was blessed to be on our podcast at 8am on a Saturday morning! 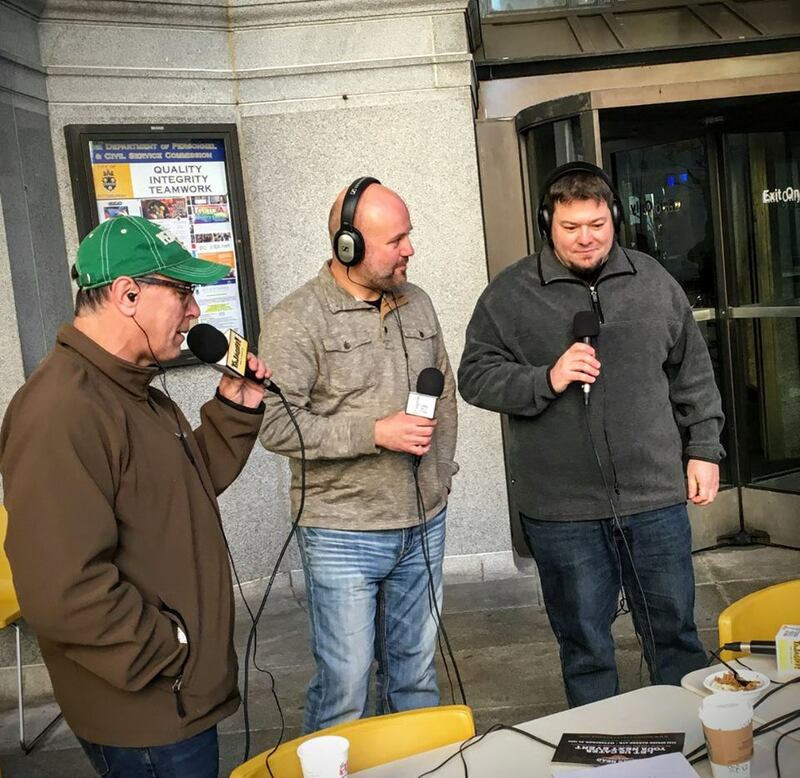 15:15 Bobby Cherry, local reporter who is known as Pittsburgh’s biggest 365-day Christmas Enthusiast! He came with his Santa hat newly dry-cleaned. 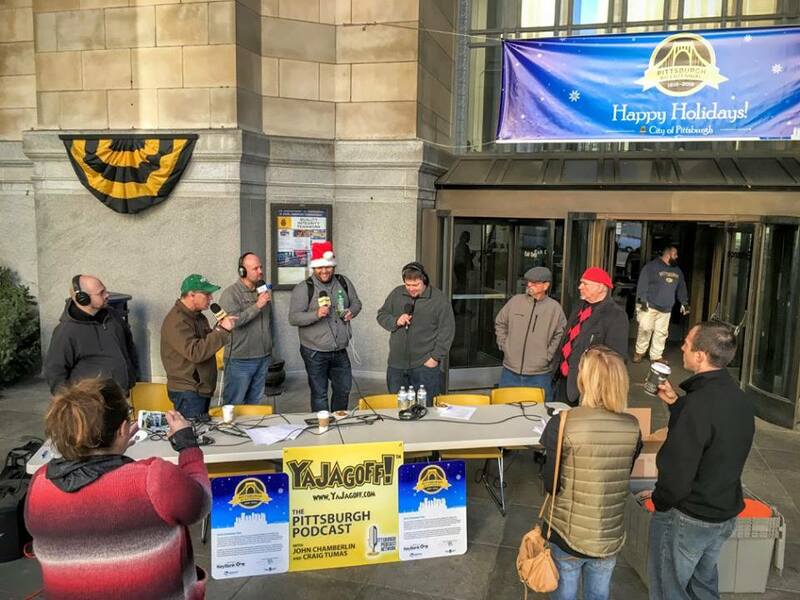 24:00 Douglas Derda, Should I Drink That Podcast and YinzLoveBBQ.com is a proxy rep for The Food Tasters and yaks about the BBQ pulled pork from Hog’s Head Bar and Grill. 30:40 Johnny Angel and Bubba talk to us about how they got their arms twisted to wake up early and sing for all us jagoffs. 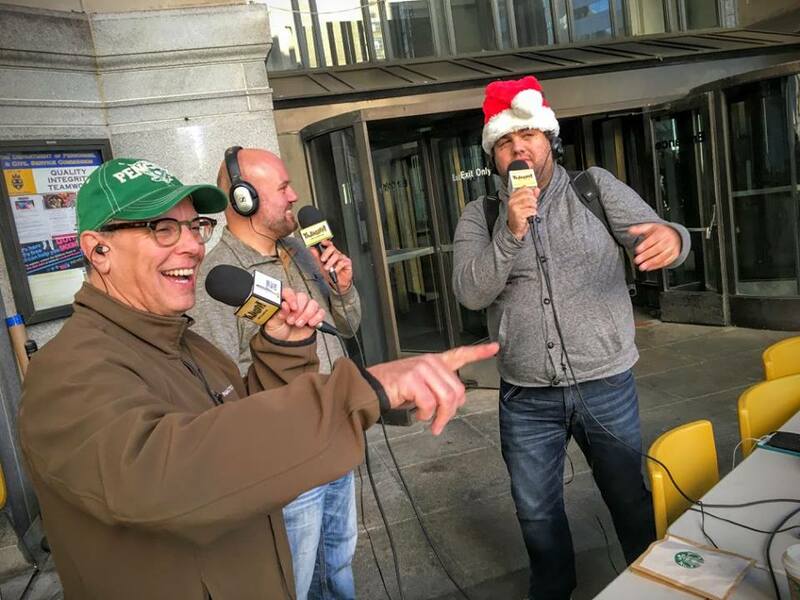 36:50 One last song….. get ready for the season, “Santa Claus is Comin’ DAHNTAHN!” Thanks to Markowtiz Communications and James Hill for inviting us to be a part of this. VIEW the Episode MovieMix of photo and video Highlights.